Springtime is here and that means sunshine, flowers blooming, and new love. It also means there are only 150 days left until Dragon Con! Mike, Mike, Darren, and Bethany Kesler discuss the latest news and whether of not TPTB should be looking over it’s shoulder at the competition. 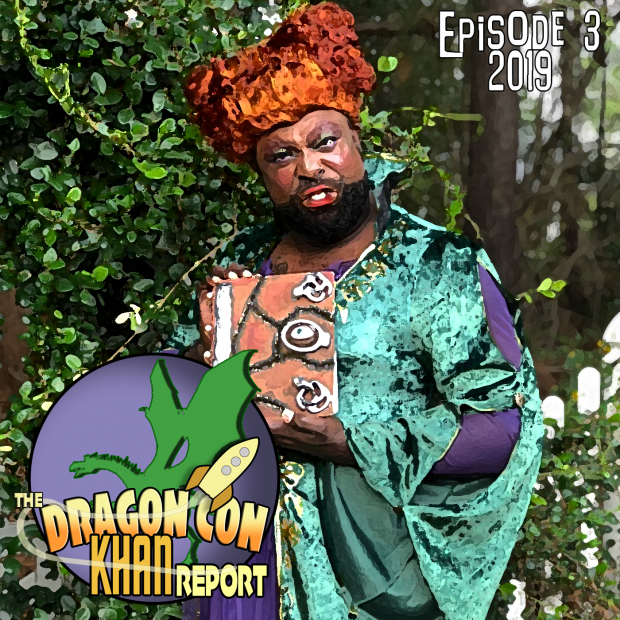 Plus, costume designer and cosplayer Mikal Mosely reveals why Dragon Con is as special as that other big event in April, WrestleMania! We want to hear from you! Share with us your favorite Dragon Tale and let us know what you are looking forward to in 2019! Please write us at dragonconreport@esonetwork.com or leave us a voice message at (404) 963-9057. 0:00:00 Show Open, Competition For DragonCon?